Picking the right english riding boots is essential to ride well in that style. You need to have extremely good contact with your horse, constant leg stability and the ability to keep those heels down! If your boots are too tight, or too loose you won’t be able to do that effectively. Not only you loose your ability to ride well, you also compromise your safety on the horse and we all know safety comes first. For riding, the basics that you need are grip and heel. You want the bottom of your boot to be a rubbery texture. You can’t have it simply flat and plastic because that’s going to slip right off the stirrup no matter how hard you push your heels down. Secondly, you’ll need a small heel as shown on the right. You don’t want it to be too high but you also don’t want it to be too small. 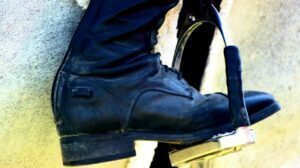 You need something that will stop your foot from sliding all the way forward through the stirrup if your foot slips forward while you’re riding. Generally, as you know, you want the the ball of your foot against the stirrup and your heels down. However, sometimes, if your horse spooks, jumps a little too early or springs into a canter faster than you were expecting, your foot can slip forward. And it’s not safe if your entire foot goes through! It’s easy to pick a boot that fits well on your feet because it’s not like you haven’t shopped for boots before. Where it gets a bit more ambiguous for riders is around the calves. Your lower legs should not be banging around in your boots. Think of the boots as feeling like a pair of comfy socks. They shouldn’t be tight so that you can’t move normally or that you feel any constriction. But they shouldn’t not be loose enough to allow any significant movement of your leg inside the boot. As a rule of thumb, you should be able to fit two fingers comfortably between your boot and the back of your calf but not three! First thing’s first – you need to figure out which type of boot you need. This is going to depend on a few things: your budget, when you’re going to be wearing the boots and how often you’ll be wearing the boots. If you’re riding once a week during lessons for example, then you’ll probably need one pair of either simple paddock boots that you can pair up with half-chaps. Or you can get some field boots. If you’re training regularly in preparation for a competition, you’re going to need dress boots but I would also suggest a second pair of paddock or field boots that you can work around the barn in and even train in. Although you’ll want to be training in the boots you’re competing in on a regular basis as well to get the feel of them. Which type of boots are for you? Paddock boots are around ankle level. They are very comfortable, relatively cheap and the easiest to get on and off. If you get a good quality pair, they are super resilient to grit and dirt, water damage and wear and tear. Personally these are my favourite to wear because they’re convenient to wear around the barn and they last forever. Then when I’m riding, I just throw on a pair of half-chaps to get better contact with my horse. Of course you can’t do this for higher level competition but for casual riding I find it’s the best. The reason these are so comfortable is because they have a lot of give generally and because you wear them alone or paired with half-chaps – they have the best ankle give. This will allow you to have the best mobility while riding and make it super easy to get your heel down. I would 100% recommend these or field boots for riders that are just starting. Field boots are also fairly comfortable and they also have a nice grungy that’s developed look over time from the leather scrunching. They are acceptable in competition at lower levels but they don’t usually have the shine or the stiffness that dress boots and dressage boots do. This makes them comfortable and allows them to wear in quick and to give a lot around the ankles. But it makes them unacceptable for dressage and eventing competitions and higher level jumping shows. I would say these and paddock boots + half-chaps are fairly similar in terms of comfort. Field boots without a zipper can be slightly more annoying to get on but that’s about it. Mostly the choice between them would be a matter of preference. Also you can compete in field boots at some lower level competitions. You’ll need dress boots if you’re competing at a higher level in anything from eventing to dressage to hunter/jumper. Nice leather dress boots are going to be more expensive that your general paddock boot or field boot. However, dress boots are less stiff and less expensive than going the full mile to dressage boots. Dress boots are generally acceptable for any type of English competition. But if you are passionate about dressage, I would invest in a dressage boot because you’re appearance is very important! And dressage boots are the fanciest you can get. These are the stiffest, most expensive and most pristine looking of all the boots. You can’t get much fancier than this. I would not invest in a dressage boot unless you are a passionate dressage rider and you know you’ll be competing regularly in the higher levels. Know with these boots that they take a lot of breaking in and even then, they’ll never have the give of a field boot or even a dress boot. 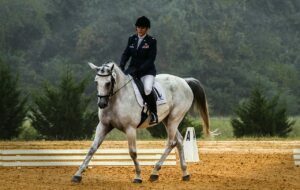 It takes more strength and skill to ride well in dressage boots. Also they’re just not that comfortable, but I can’t deny they look spiffy. From paddock boots to the various types of high boots, some boots will have zippers while others won’t. It is really a matter of preference which you are going to get. Generally no zipper is considered better for competition because it looks better, especially if the zipper is clearly visible. You definitely should not have any type of visible zipper at higher level competitions; however, some dress boots will have them concealed. They’ll be the same color as the boot and on the inside of the leg. Pull-on boots generally have loops inside them on the sides that you can pull on with little hooks. Personally I find this super annoying and hate getting these types of boots on and off. I would buy zippered boots any day but I do have a pair of pull-on boots I used to compete in. Overall, this comes down to a matter of preference! Just remember, you might not be able to get these off on your own, at least the first couple of times. Generally riding boots are made of leather. The type of leather depends on the type of boot. I find that the stiffer and shinier the leather, the more expensive the boot. But you will find some boots that are made from rubber. Personally, I hate rubber boots. Even when its raining I don’t like them. They don’t give at all over time, they aren’t comfortable and they they can pinch and hurt. The up side of rubber boots is that they can be easier to maintain than leather. They’re also a fraction of the price of leather boots. You need the boot to fit extremely well. Because I guarantee you, it doesn’t matter how pretty it looks or how perfect everything else is, if there’s that one part on the calf that’s too tight, it’s just not going to work. After hours riding and using your legs, that part that’s tight is going to be all you can think about and is going to make your calves sore for the rest of the day. Also think about what climates you’re riding in. If you’re somewhere super hot all the time then try on your boots in hot weather, with thin socks. If you know you’re going to be riding in colder weather, then make sure your boots fit with thicker socks. I used to ride all the time in Canada where it was hot in the summer and freezing in the winter. So I usually wore my paddock boots in the winter because they were a bit looser and I could get thick ankle socks underneath. Then I’d put my half-chaps on overtip that were thicker and made of a warmer fabric. And then during the summer during heavier training I wore my dress boots. Dress boots and dressage boots are extremely stiff, especially dressage boots. These are not going to have any give or scrunch around the ankles or around the top. So you need to make sure that the height is perfect. As a test, you want to be able to do a squat (that means at least parallel thighs!) without any pain or pinching. Remember, you need to mount your horse and that won’t be fun if the top of your boot is stabbing into the bottom of your thigh. With a field boot, on the other hand, it’s okay if its a little high. These types of boots have softer leather that will scrunch both around the ankle and at the top as they wear. This will make the boots loose some height and will also make them softer against your skin so there’s no pinching or stabbing. I would recommend actually buying your boots online. This will save you a lot of money especially if you can find them used. Another bonus of buying them used – especially in the case of dress or dressage boots – is that they’ll already be somewhat worked in which saves you those aches and pains of fighting the boot to get your heel down. Make sure though that the previous owner has taken good care of the boots before you’ve bought them. So they would still be shiny without any cracks or obvious defects. You can usually find these on Amazon. What I would do first is go to my local tack store, try on the boots that I’m interested in until I find exactly the kind that I like and my size. Then I’d go online and try and find a used pair as close as possible on Amazon. After you’ve picked the right ones, make sure you maintain your boots well! That means keep them clean, dry and the leather hydrated. There’s one pair of riding boots that I think every woman should own. Click Here to see my favourite brand in woman’s riding boots in terms of durability and style! I hope this was helpful to all of you picking new boots! Please feel free to comment below and let me know if you have any comments or questions. There is not much information over horse riding shoes on internet but I find you have very insight knowledge over the subject. Your website will be very useful for the audience who are engaged in horse riding. I have plans to visit again to see your new posts as well. Keep up the great writing! Thank you for your positive feedback. I definitely agree with you that there isn’t enough information on the internet about equestrianism. 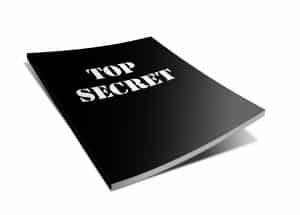 I’m hoping that I can put some information together for anyone who is interested. 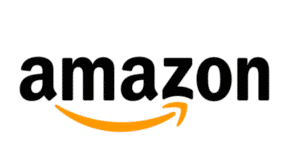 Also when I was buying my riding equipment, I would just depend on the Amazon reviews or try and sort out what I thought looked the best at the tack store. Tack stores are very intimidating when you’re young and have no idea what you’re looking for. But luckily, I’ve learned a great deal since then and hopefully I can save others the same hassle! I hope you’ve learned something new about choosing riding boots! Great information on horseback riding boots. I really didn’t know that there was so much that you need to consider when purchasing boots for horseback riding. I have a good friend who is a barrel racer and she had all that gear. I purchased a pair so I could ride with her, but they were the most uncomfortable boots ever. Guess I did not get the right pair. For barrel racing, your friend probably went with cowboy boots. These are a little bit different to pick out than English riding boots as they don’t need to be quite as fitted. If you’re interested, you can always read more here about the differences between Western and English riding gear! But definitely, boots should be comfortable either way like Ariat paddock boots, which personally I think every woman should own if they are even considering riding.